"Chau has been my hair stylist for over 8 years and I have been a loyal customer at Phenomena Hair Design since it opened 5 years ago. He has always been great at making suggestions and is open and willing to lend his expertise and knowledge about what would look best for you. It's nice to be able to fully trust the work of your stylist. His professional service and attention to detail is second to none!" 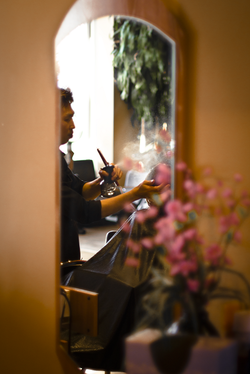 "I was thrilled when I heard Chau had opened his own hair salon in Surrey. He has cut and coloured my hair for over 10 years and is simply one of the best hair stylists and hair colorists out there. Each time I feel like he's performed a small miracle, the difference is so satisfying. 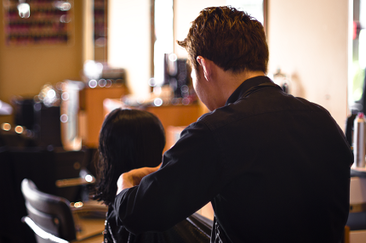 Chau has both the skills and the patience to give you just the style and colour you need. It's always a good hair day when I visit Phenomena Hair Design and I highly recommend them!" - Anne Dix, South Surrey.